Get ready to pile handmade gifts under the tree. Whether you're giving a Christmas themed gift or something they can enjoy year round, jump start your holiday crafts with these cute ideas. 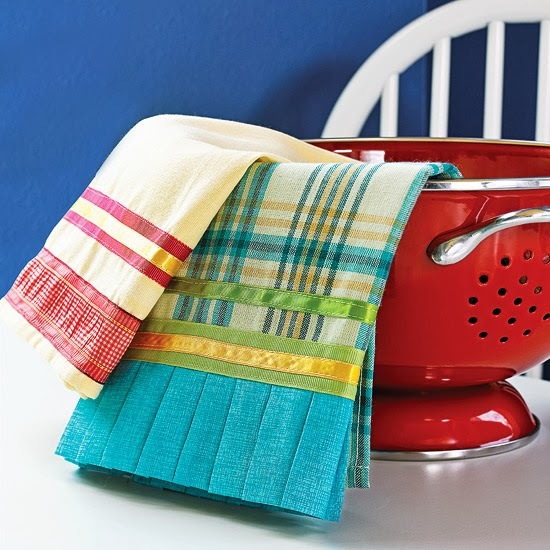 Add pizzazz to plain tea towels for a heartfelt and practical Christmas gift. Simply cut trims (ribbons, ruffles, etc.) slightly longer than the width of the towel, then topstitch the strips in place. Perfect For: A domestic diva or your holiday party hostess. How to Make It Say Christmas: Use holiday-theme trims or a color palette of red and green. Go a little wild with this Christmas gift you make yourself. 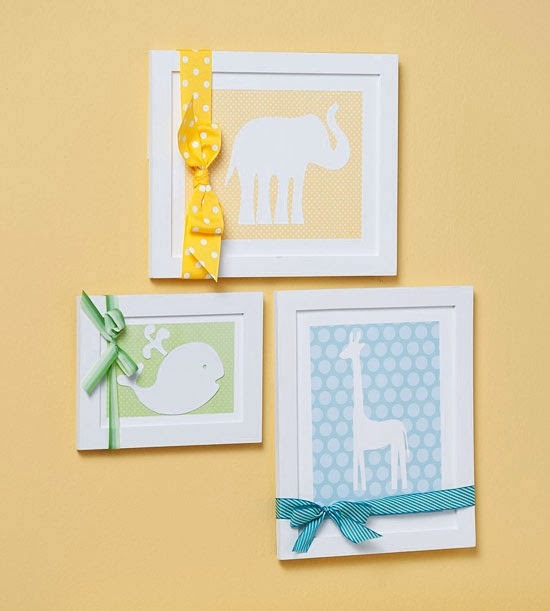 Kids adore animals, and these silhouettes are a fun room addition they'll love through the toddler years. 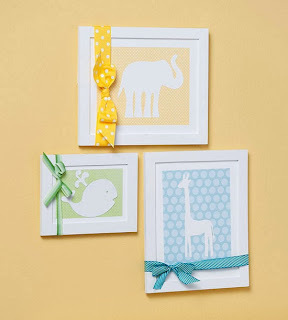 Cut animal silhouettes from plain white cardstock, and mount them on colorful patterned paper. Adhere each paper to a white mat board cut to fit a frame. 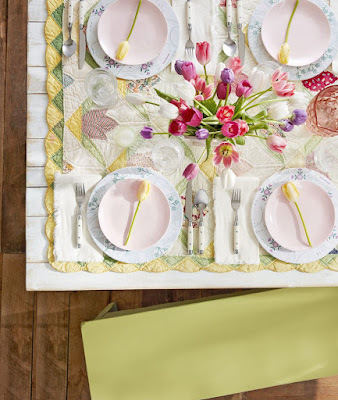 Insert silhouette in the frame, and tie a ribbon around the exterior. Perfect For: The parents of a baby, toddler, or any zoo animal-lover. How to Make It Say Christmas: Cut out reindeer, penguin, or polar bear silhouettes. Make bows from Christmas ribbon, or attach Christmas motifs to the frames. When the wrapping is this lovely, the wine tastes even better. 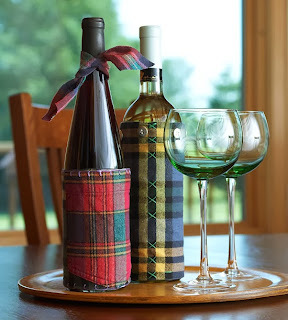 Whether given alone or with your favorite vintage, these wine sleeves serve with style. Plus, they're eco-friendly! Made from the sleeves of flannel shirts, it takes only a few stitches to refresh them for their new use. Cut a section of flannel shirt sleeve to the desired length; turn under the ends. With a needle and embroidery thread, tack the edges in place using blanket or blind stitches. Trim the wraps with buttons or decorative embroidery stitches as desired. 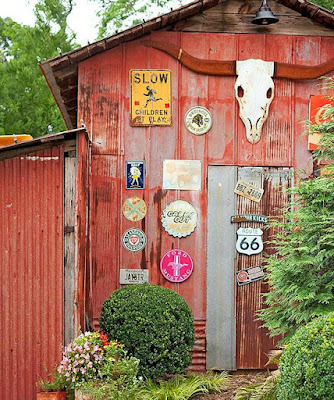 Perfect For: A wine devotee, recycling enthusiast, or country-style buff. How to Make It Say Christmas: Choose flannel in holiday red-and-green plaid, or look for sleeves sporting a holiday pattern. Top the bottle with holiday-hue ribbon. 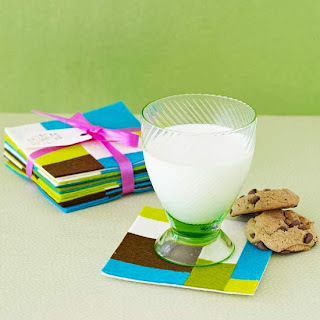 Add glasses with etched snowflakes or other winter motifs. Capture memories of places near and dear by stitching the outlines of states in this handmade Christmas gift. Choose places your recipient has lived or favorite destinations. Mark special locations with felt hearts.Print state outlines on paper, and poke holes for stitches. 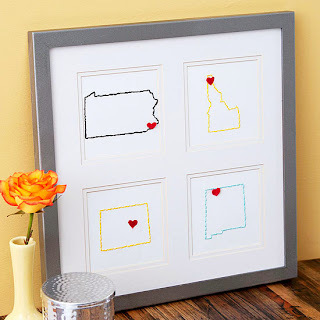 Use a backstitch to make the outline, glue on felt hearts, and frame. Perfect For: A frequent mover, a relative with ties to former homes, sports fans with alliances beyond home-state borders. How to Make It Say Christmas: Choose states with holiday memories or favorite Christmas destinations. Change the hearts to trees, stars, or stockings. Make wineglass charms from scraps of paper or fabric. Cut small squares of selected areas of the material and insert each into a frame pendant (available in the jewelry-making aisle at a crafts store). 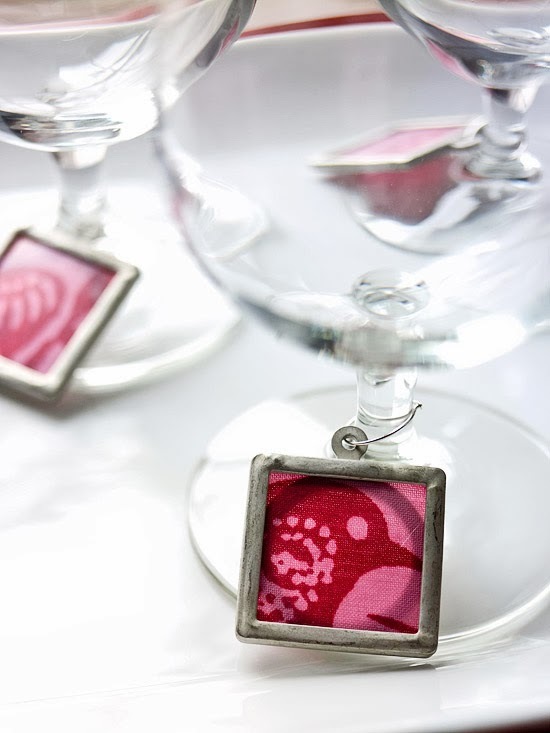 Earring-hoop wire threaded through the pendant loop makes it easy to attach the charm to a wineglass stem. Make a whole set (or multiple sets) in a wink. Perfect For: A wine-lover or holiday party hostess. How to Make It Say Christmas: Use Christmas-theme paper or fabrics. Create these mod drink mats from adhesive-backed felt, and wrap them in sets of six to give as Christmas gifts. We've included the complete instructions, below. Perfect For: Your holiday party hostess, mom, or aunt. How to Make It Say Christmas: Use red, green, or holiday-theme wool felt. 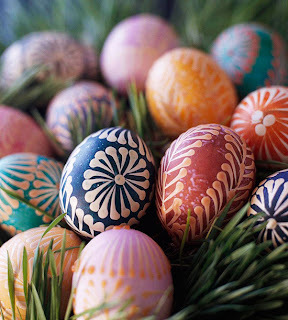 Spell your sentiments with bright colors and patterns. 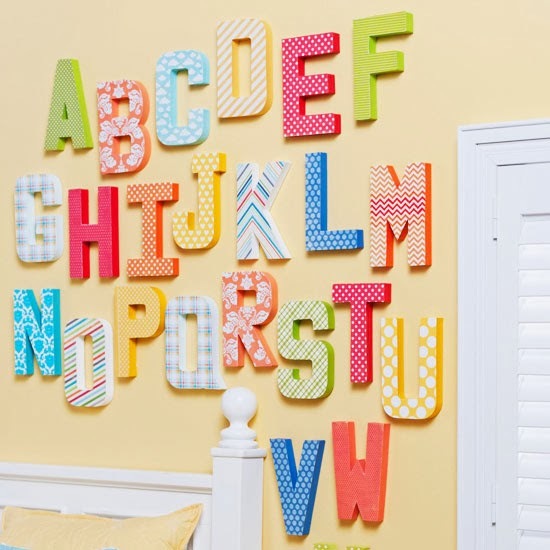 Create an alphabet collage, compose a saying, or spell a name. 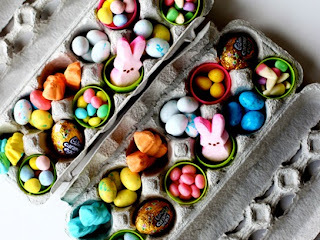 Use a papier-mache letter as a template to trace the shape onto the back of patterned paper. Paint the letter blocks in coordinating colors. 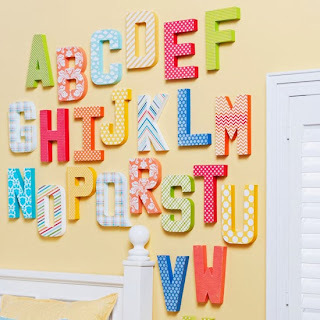 Cut out the paper shapes, and glue them to the letters. Use a crafts knife to trim any excess paper. Assemble your message. 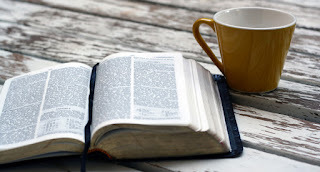 Perfect For: The parents of a baby or toddler, or a word-loving kid or adult. How to Make It Say Christmas: Cover the letters in holiday paper and spell out a Christmas wish. Create an eye-popping Andy Warhol effect using favorite photos and large paint-chip cards. Trim a large, gradient-style paint-chip card to a standard photo size, such as 4x6 or 5x7 inches. On your computer, convert a photo to black-and-white, and adjust the settings to print to the appropriate page size. Feed the paint-chip card into your printer, and print the photo. 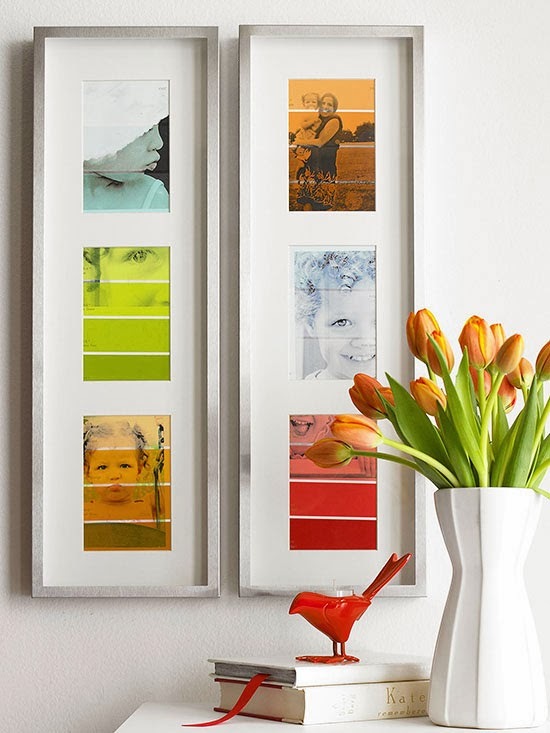 Arrange several paint-chip-printed photos in vertical frames to complete the gift. Perfect For: Grandparents or Pop Art fans. How to Make It Say Christmas: Pick images from winters past and print the photos on paint-chip cards in classic reds and greens. Adorn the frames with Christmas ribbon or sprigs of greenery. 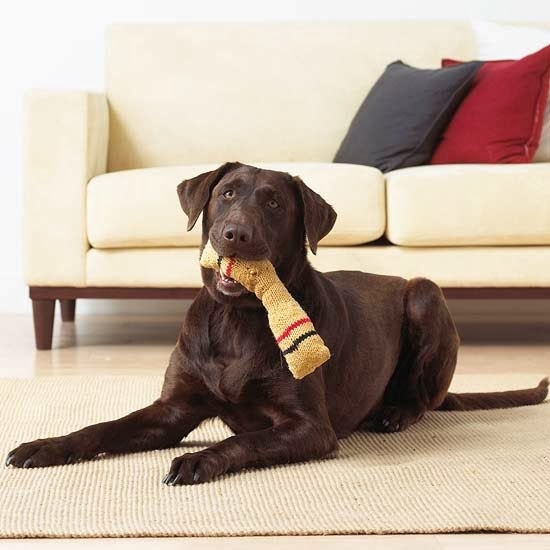 Whether for your own pet or a friend's furry companion, this knitted dog toy will be a hit. All you need is some yarn, batting, and basic knitting tools. Perfect For: A pet-lover or your own dog. How to Make It Say Christmas: Use red and green yarn. 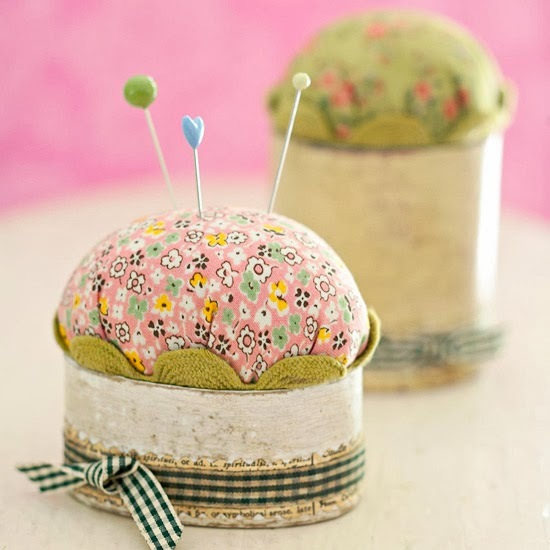 People who sew know how essential a pincushion is to their craft. So why not own one of these practical tools done up in fun trims and fabrics? These charming cushions start with a kraft paper box for a solid base and feature a polyester fiberfill "puff" on top to hold pins. Perfect For: Any crafter, quilter, or pincushion collector. How to Make It Say Christmas: If your recipient is a sewer, include a bundle of Christmas fabrics with the pincushion. Top clothespins with scraps of paper, seal with decoupage medium, and adhere magnets to the backs. 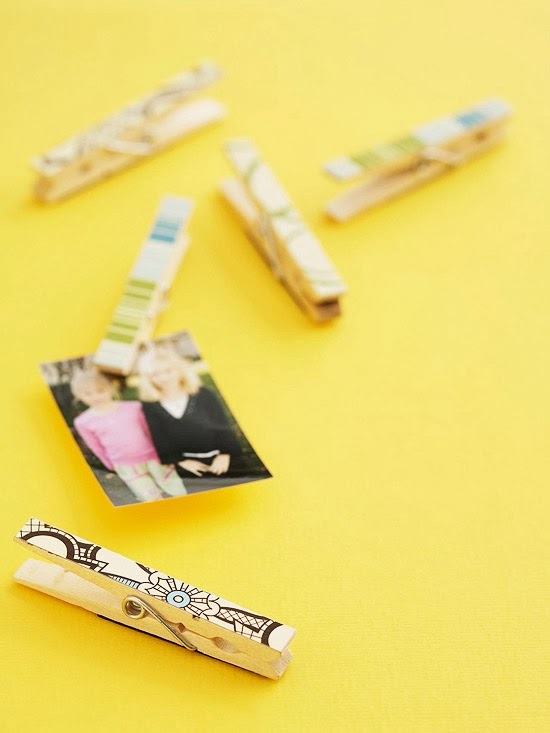 For affordable gifts, buy large packages of clothespins and use coordinated paper to make sets to give. Perfect For: Your child's teacher, a favorite organizing guru, parents, or grandparents. How to Make It Say Christmas: Include a favorite Christmas photo to display.